Eye-Fi will soon end support for its X2 and older wireless memory cards, services and apps, according to a notice sent to customers today. Citing security concerns, the company will complete the ‘end of life’ stage on September 16, 2015 by ending server support. The cards will still function at that point, and certain wireless transfer modes may still work, but their associated apps and services won’t offer full functionality. 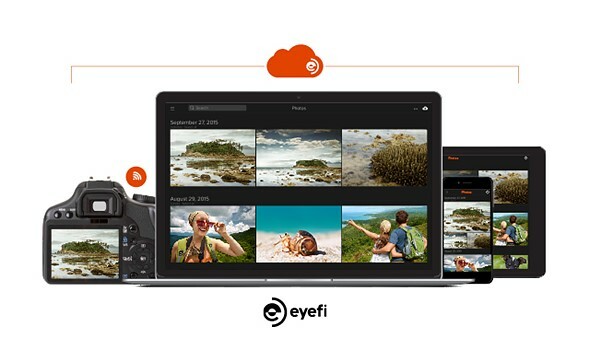 Eye-Fi is offering to move customer data to its newer Cloud service, and will sell affected customers new cards at a discount. Mobi, Mobi Pro and EyeFi Cloud are all unaffected. Eye-Fi mentions that some functions that don’t require contact with its servers may still work after September 16, but their function is by no means guaranteed. The company states that Direct Mode for transfer directly to a computer or mobile device may keep working, as well as Selective Transfer, in which the user chooses images for transfer by designating them as ‘locked’ or ‘protected’ on the camera. Eye-Fi warns that if customers want to try and keep using these modes, they should make sure they’re configured prior to September 16. Eye-Fi Premium customers will be able to migrate to an Eye-Fi Cloud account, and owners of legacy cards can buy a limited number of Mobi cards at a discount to replace them. Below is a list of affected products which Eye-Fi will no longer support. Eye-Fi began the process of retiring its older products in March 2015, citing vulnerable security mechanisms and technological obsolescence. Visit Eye-Fi’s website for an FAQ and more information about the end of life products.